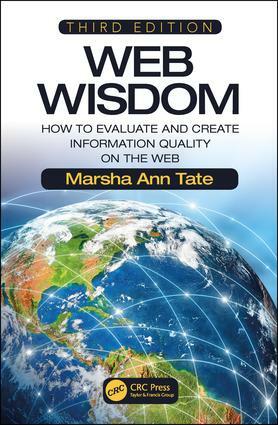 The World Wide Web has undergone tremendous growth since the first edition of Web Wisdom: How to Evaluate and Create Information Quality on the Web was conceived and written in the mid to late 1990s. The phenomenal global expansion of the internet, together with the increasing sophistication of online technologies and software applications, requires us to be more savvy Web users, especially given the growing complexity of Web-based information. This new edition of Web Wisdom covers key issues that users and creators of Web resources need to know regarding reliable and useful information on the Web, including social media content. Written in a straightforward and accessible format, the book also provides critical evaluation techniques and tools to enhance Web-based research and the creation of high quality content. This book demonstrates how to adapt and apply the five core traditional evaluation criteria (authority, accuracy, objectivity, currency, coverage) originally introduced in the first edition, to the modern-day Web environment.